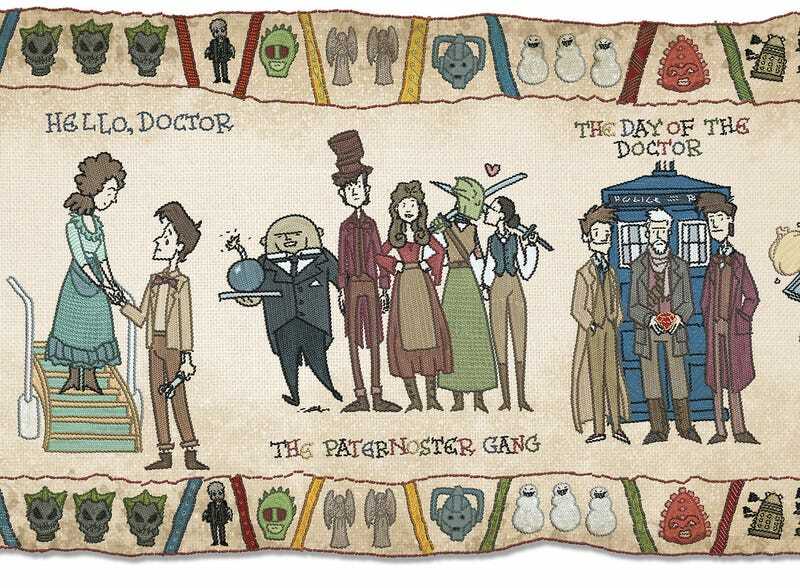 What if the Bayeux Tapestry told the history of Doctor Who? We only just saw the prequel minisode to the Doctor Who's 50th anniversary, which turned our while idea of the Doctor's history on its head. So this is a great time to have a refresher course in all things Doctor-related, with a Doctor Who-themed Bayeux Tapestry.